Each spring there are many riders trying to wake their bike up from a winter nap or new to them rides and are having issues. There's a many here who will share their experience in an attempt to get you safely on the road. A few things that really help us is your location and some bike details. If you fill out your profile with at least your state it gives us an idea if climate has an impact on issue. Also fill out a signature line with bike info, that way we know which year, make and model you have at just a glance. 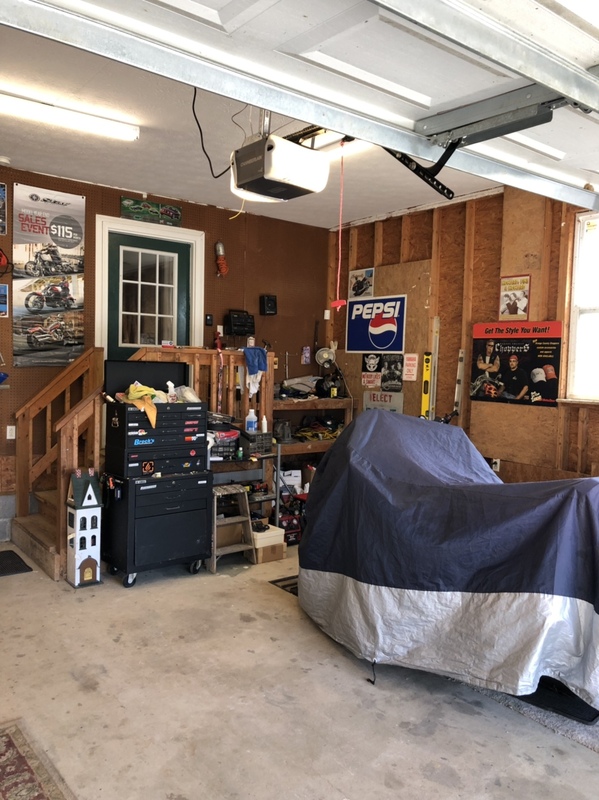 Another great tool is the garage. If you post several pictures of your bike and a good description it really helps. Being able to see your bike helps a lot. If you have a question please post in the appropriate thread for better exposure from other members to assist you with as much detail as possible, model specific forum works best. The New Members Introduction forum is for us to know you. A brief hello, type of bike, riding experience, etc is great for the introduction. Then you can post issue in appropriate thread. For those who usually post suggestions for repairs did I forget anything? Keith Post, nurtaeff and Rufus49 like this. Last edited by lesblank; 03-31-2019 at 08:43 AM. I see a few new garages, thanks. Don't forget to update your signature when any changes are made to your bike. Keith Post, nurtaeff and JonMaz2112 like this. I guess I don't know how to do the modification and posting of photos of my bikes. My excuse. I like this new thread Les! If you have a pic of your bike when you first join, it’s helpful in several ways. We want to get to know everyone know matter what you ride, and where you’re from. Our forum is divided up in different regions and it helps us to see growth and interests in riding. Just like our upcoming second Southeast Members Rally in September. You don’t have to live in the Southeast to attend, but we have a lot of members in that region, us included, and Nurteaff and several others saw the interest in hosting a rally and we all loved it! We now have extended friendships and love hanging out together. 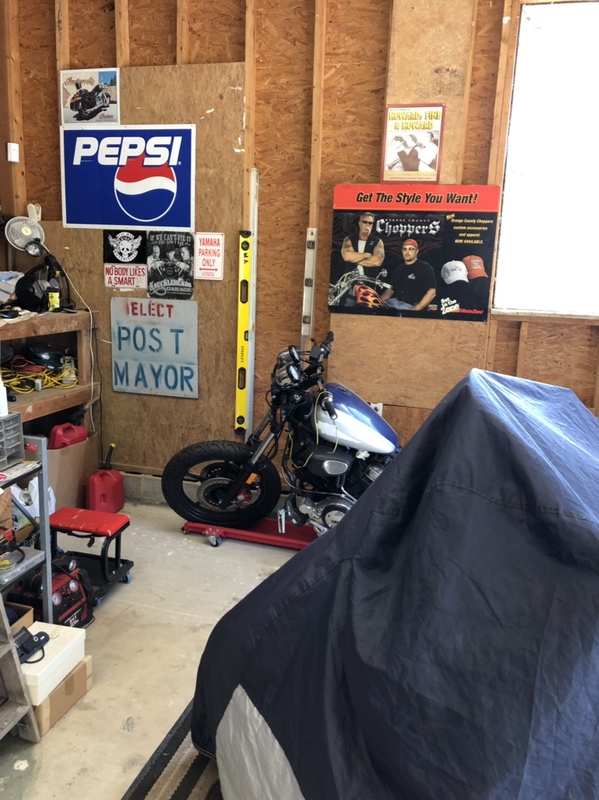 Thanks again for starting this Les, and let’s see where everyone is from and a pic of your garage/workshop area. Keith Post, lesblank and CanadianMohawk like this. You are still allowed sir! We couldn’t have pulled off our inaugural rally last year without you guys! Thanks my friend! We gotta make our second "gettogether" better! Everybody, please, check this thread and sign up! Also, check this one for the Westcoast region and sign up! Can you imagine if some of the other regions got together for a rally and then we plan a national rally in the future how much fun we’d have? Lol. Here’s a few pics of my garage as it sits right now. Don’t laugh, I’m still organizing things.